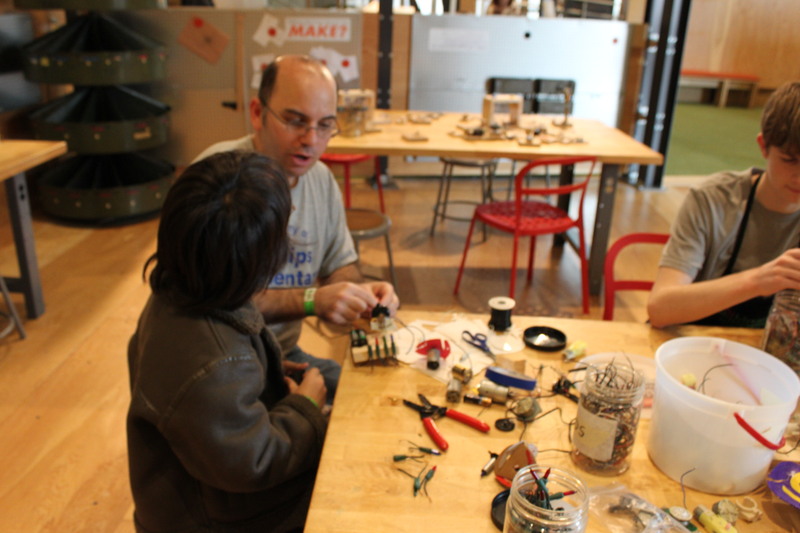 We’ve been collaborating with visitors to create their own circuit blocks and AA battery packs. We provide visitors with lights, motors and various other objections from old electronics. 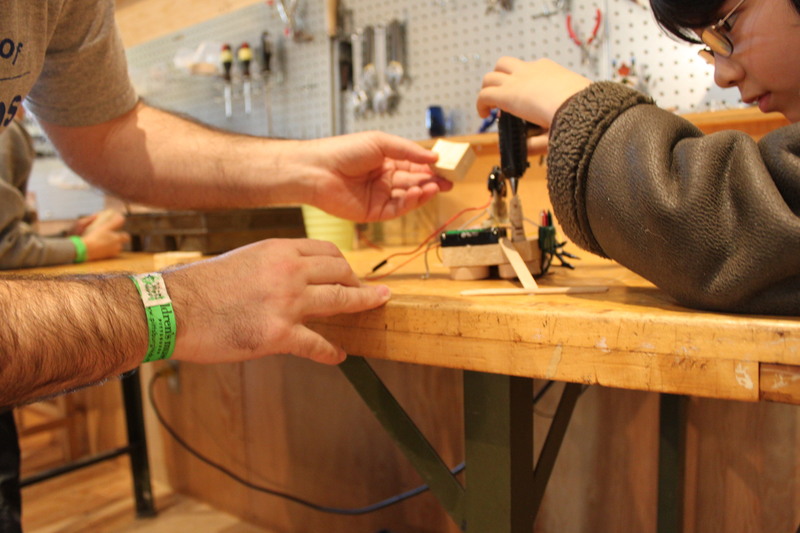 We help our visitors mount their components to pieces of wood, then demonstrate how to make a AA battery pack for them to take home and use with their circuit block. 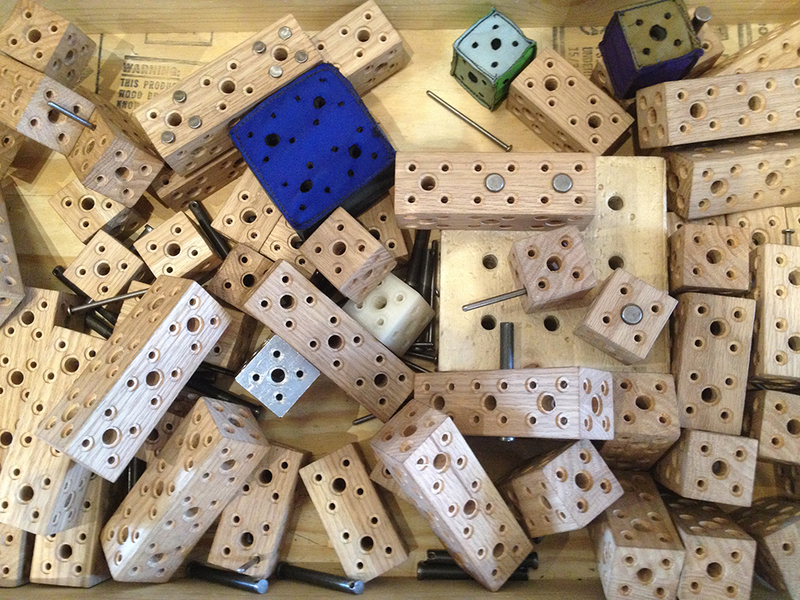 We hope this activity will inspire the visitors to continue creating their own circuit blocks at home. Arthur and his dad immediately embraced this project and spent roughly two hours creating one of the most impressive projects I have ever been a part of. 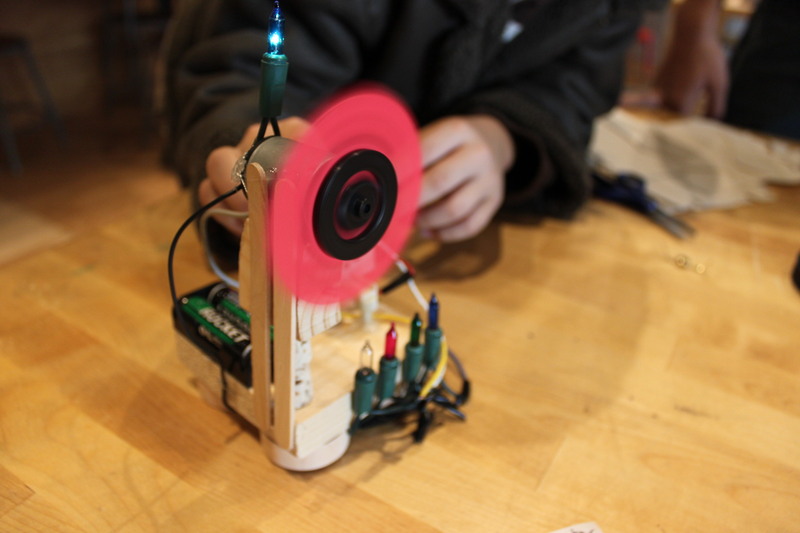 Their project started when they found a really cool switch from one of an old electronic device. The switch would allow them to create several circuits using only one battery pack. Arthur decided that he wanted to create something for his little sister, Hana. He wanted to create “something to occupy her”. He decided to use the switch to turn on a series of colored lights. I believe it was his dad who suggested to add a spinning motor into the mix too. The two hours that followed were fulfilling for everyone involved. 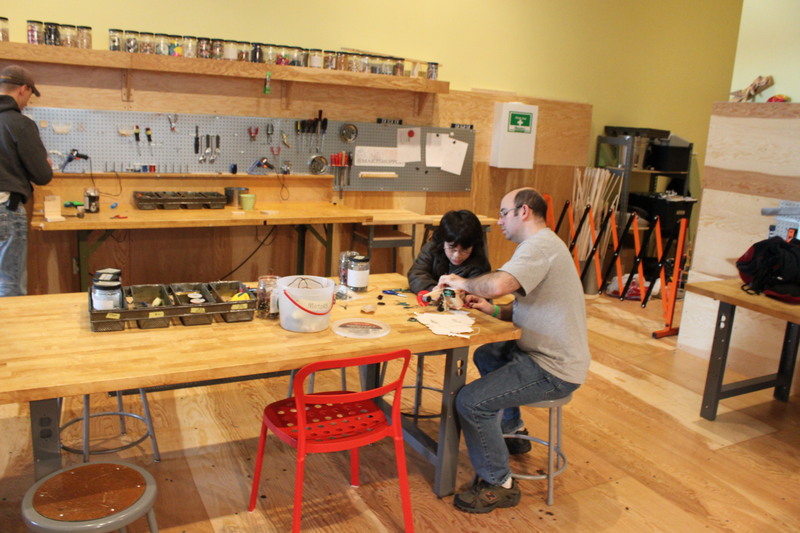 Arthur and his dad were extremely capable of doing all the work on their project themselves. I slowly took on the role of journalist and assistant to the two of them. If we hit a hurdle, then the three of us would stop working and brainstorm a solution to the problem. The project kept evolving as we continued to work. In the end we discussed the processes used to create the “Hana-Occupier.” It had already been decided that this project would eventually become a gift for the younger sister. But there was also talk about using their creation as a school science project. This was an awesome project to be a part of and to witness. I was unsure how this whole “circuit block” project would work, but the creation by Arthur and Andrew demonstrated how creative the process could be. Thanks again to Arthur and his dad for showing me just how far a team of people can take a single project.